I know, two posts, in one day? I couldn’t help it. I decided to join Rebecca Enzor’s custom pony contest: #PonyFest12. When I read her post last week, I decided to create a pony for my main character in my unpublished adult fantasy novel, which is going out for submissions and queries this week. 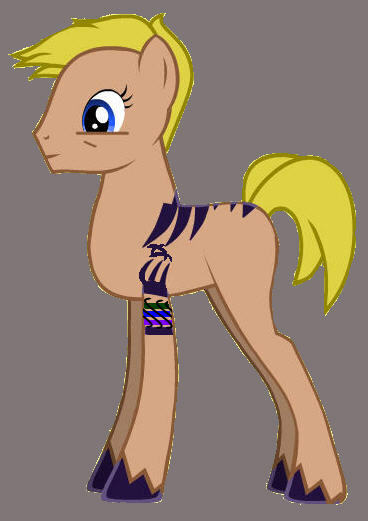 And now that I’ve done as much polishing on the shiny manuscript, I decided to throw my warrior pony into the ring. Description: Marce has moonink (tattoos) that glow blue only during rituals or as determined by the Three goddesses. These marks include her clan-specific tangles, and the arrows on her arms are her successful hunts (both animal and man). The cutie mark is her birthmark of the three crescent moons. Her hair has a moon-white streak and is always braided. Purple represents her Archerwood Clan color. Her eyes are blue-green. Book tagline: Marce Archerwood is a champion archer and hunter who needs an heir, but she must decide whether to trust (and even love) her consort or execute him for his goddess-given gifts, which are illegal for men to have. UPDATE: Since the voting doesn’t start until October 5, Rebecca said I could squeeze in Marce’s consort, Kevvan, to accompany her. Description: Kevvan is tall, blond, and cleanshaven. His blue eyes sparkle a little while he maintains a neutral expression. His inked armbands indicate his high-ranking status, but the black swirls that cut across the color mean he has been sold. The ink that flows across his shoulder onto his back hide his triple-crescent birthmark and protect him from certain execution. 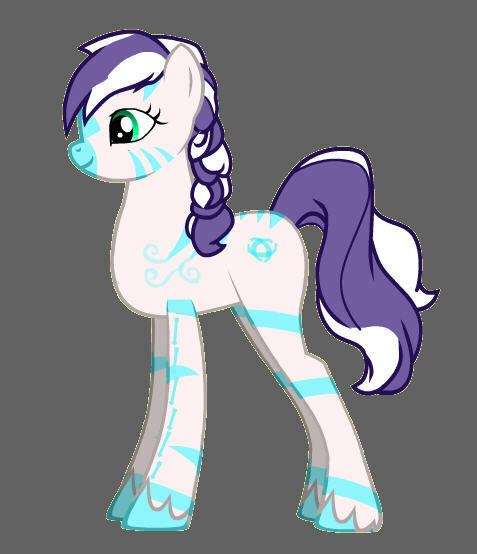 I would love your support to win my very own custom pony just like my design of my book character. The contest runs from October 5th through 13th. Please check Rebecca’s blog (the link at the top of the page) and vote for Marce and Kevvan from HUNTER MOON.